OK, house of my dreams, you knew our love affair couldn't last. It's. OVER. It's not your fault, honey. It's hers. My new love stole my heart. I'm headed to Kamala beach—in Phuket, Thailand—to live with her forever. I mean, don't get me wrong, I still like you very much. If you are into it, you can both share me. But Villa Amanzi—designed by Original Vision and built in 2008—has most of my heart. 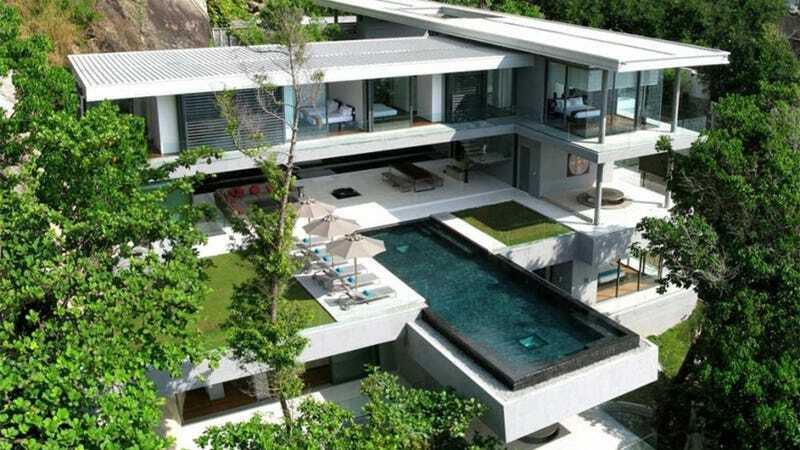 What's not to love about this dream home, perched on a 197-foot-high cliff overlooking the turquoise waters of the Andaman Sea?